Bruce Springsteen’s self-titled Springsteen on Broadway opened this past October at the 975-seat Walter Kerr Theater and quickly became one of the hottest tickets on the Great White Way. 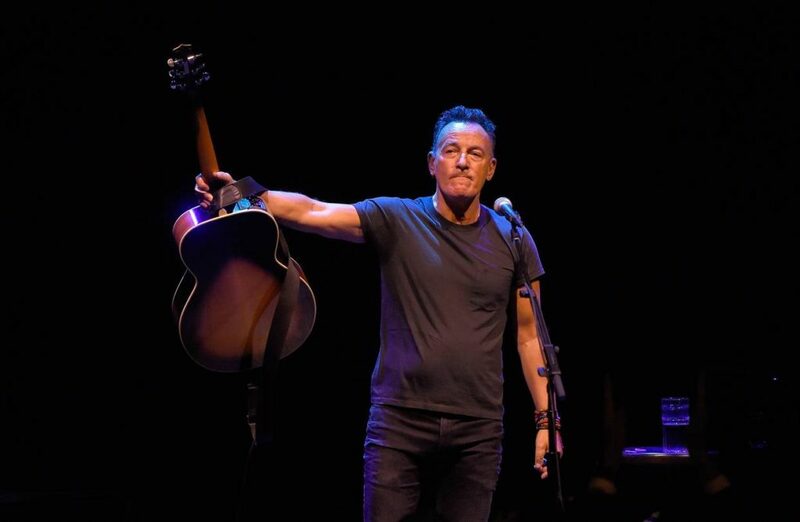 Billed as “an intimate night with Bruce, his guitar, a piano, and his stories,” The Boss received a Special Tony Award at this year's ceremony for his historic one-man show, which has grossed over $65M to date. As I took my seat prior to the performance (shout-out to Ticketmaster Verified Fan), other audience members were joking about sacrificing their children's college funds to be here - resale tickets start at almost $900. Needless to say, expectations were high. What unfolded before us was an exhilarating, surprising, very emotional two hours, as Springsteen held the entire audience enraptured from start to finish. In many ways, the show is a live performance of his 2016 autobiography Born to Run, set to music. The show begins with Springsteen describing his adolescence, growing up in the shadow of a Catholic church in Long Branch, N.J., progresses to his adventures as a troubadour in the '70's along the Jersey Shore, and culminates as he grapples with his rise to incredible heights of fame. The show is like listening to the greatest storyteller you’ve ever heard weaving new depth into a tale you thought you already knew. Springsteen solemnly reflects on his relationships with his mother and father, his friendship with the late Clarence Clemmons, the “Big Man” and legendary saxophonist of the E Street Band, and even brings out wife Patty Scialfa to duet on two songs, as he describes falling in love after hearing her sing at The Stone Pony in Asbury Park, N.J. Many Bruce fans over the years have strongly identified with his “everyman” persona and working-class tales, but The Boss reveals several surprising facts throughout the course of the performance, both self-consciously and for laughs. First, that though working is all he wrote about, he has never held a real job in his life; that despite the prevalence of cars as a means of escape in many of his songs, he did not know how to drive until age 21; and even though he always longed to break out of his small New Jersey town and often crooned about doing so, he now lives just a 10-minute drive away from his hometown. Most of his classic hits make the set list – “Thunder Road,” “Born in the U.S.A,” “Dancing in the Dark,” and of course, “Born to Run.” However, these are not the typical rowdy, live, sing-along concert versions of the songs you know and love. Though fans have likely heard these songs dozens, if not hundreds, of times, the solo arrangements sound hauntingly new, as Springsteen often pauses the lyrics to continue stories, or ruminate on each verse's meaning, while continuing to lightly play the melody on piano or guitar. Springsteen’s music has been so powerful, and lasting, partly because listeners can identify with the everyday struggle, the longing for an American Dream that may not exist, and the desire to escape and find something more. Listening to Bruce tell his stories, I couldn’t help but think of my own – screaming “Thunder Road” at the top of my lungs with my best friend the night before we left for college; driving around my hometown aimlessly late at night, tapping on the steering wheel along to “Tenth Avenue Freeze-Out”; and now, sharing an intimate two hours with my favorite rock singer of all time.